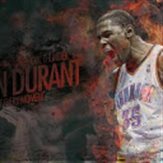 NBA Betting - Anyone using 2k14 before betting? Anyone using 2k14 before betting? This actually crossed my mind too after seeing the preview and up to date AI they have this year. Alright done with the first 3 games. but just for the sake of playing along, did you take Horford out for the Hawks? Looks realistic. A meltdown by the c's in the fourth. What is the better bball game in ps4. I've been playing 2k for years and years now and this idea has crossed my mind numerous times. Even with the difficulty and realistic sliders increased, the game in still so inconsistent and the AI goes full tard so its not viable. It could be 10 min quarters and both teams wont even score 10 points half the time. Almost comical lol. Did you try running them a second time and see if the results come up similar? Boston -2.5 guys if u wanna win some cash before the New Year!!! Last game of the year what u think about the home team gonna show their fans? It will be bloody guarantee cover haha!! Get in before u miss out!! Let's cash this game boys!! this seems crazy but logical at the same time haha. but i kinda like it. almost everyone thinks it's quite good, logical, however different. maybe it can help you can some games with your own reasoning, however don't put your all trust in it cause it's just a game, LOL. Tho not as good as "Vegas syndrome" system (pun intended) but still this one actually relies on some basics of the game and strengths of the teams/individuals. Of course the predictions from this are non-inclusive but give good insight on possible outcomes w/o doing "oh well cause Heat won Bucks by 50 points they should win Spurs by 20 pts" type assumptions nor referring to old records.